Therefore, the benefit is for the slave and not for the Lord of the slave; He has no need to be praised by His creation. Plus this verse will be explained in the upcoming posts insha Allah. 3- When was it legislated? It was legislated in the ninth year of Hijrah and the Messenger of Allah sallallahu ‘alayhi wa sallam performed Hajj only once in his lifetime, which is called the Farewell Pilgrimage. He did not perform Umrah except four times in his life. The objective in performing Hajj and Umrah is to worship Allah in the places that He has legislated for worship. 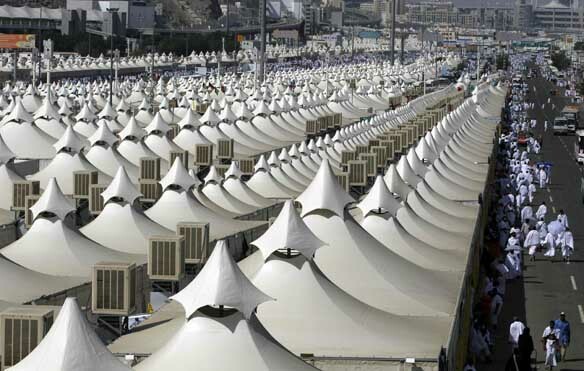 Hajj is obligatory on an able person once in his lifetime by the consensus of the Muslims. Umrah is obligatory according to the majority opinion. It is obligatory on a Muslim to be quick in performing the Hajj, and he is sinful if he delays without reason. The Messenger of Allah sallallahu ‘alayhi wa sallam said, “Be hasty in performing the Hajj, because one of you does not know what may happen to him.” In other words, he may lose his wealth or some other sort of problem may arise which blocks him from accessing the means to perform Hajj. Adult-it is accepted from a young child who has not reached the age of puberty but it will be counted as a voluntary Hajj and he must perform another one once he grows up. A child who is below the age of discernment gets rewarded for the Hajj and so does his guardian; and his guardian may perform the rites on his behalf; such as the intention, and keeping him away from nullifiers of the Ihram, Tawaf, Sa’ee, Mina, ‘Arafah, Muzdalifah, and throwing the stones at the Jamaraat. As for the child who is above the age of discernment (5 years and above), then he may make the intention himself and perform as much as he is able to from the rites of Hajj, and anything that he is unable to do such as throwing the stones at Jamaraat can be done by his guardian. In principle, these actions can only be done on behalf of the guardian if the child is truly unable; otherwise it is better for the child to do them himself. Able– the Muslim must have the physical and financial ability to perform Hajj; he must have the financial means for his transportation and travel expenses as well as sufficient wealth that he leaves behind for his family and those who are under his care. He must also clear out the rights of others on him such as debts. As for the person who is unable to perform Hajj due to an illness that he will never recover from, then he is obliged to send someone on his behalf. The next part will explain the Sunnah method of preparing for Hajj, the times and places in which Hajj is legislated, the nullifiers of Hajj, and a summary of the types of Hajj, insha Allah.